I love how creative and fun Halloween treats can be! 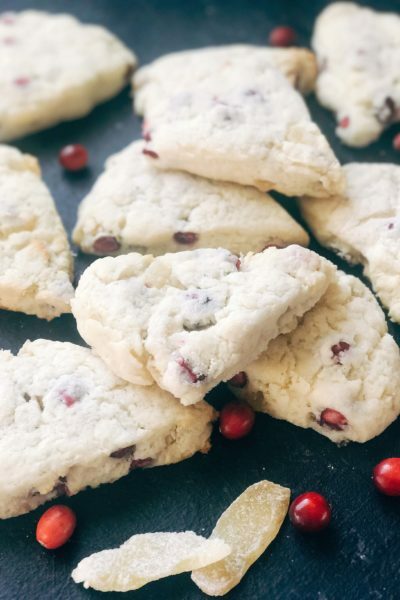 But even when I am making fun and festive treats, I still love something quick, simple, and easy to make. 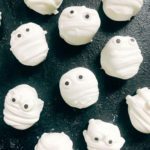 These Halloween Mummy Candy Dipped Marshmallows are perfect for Halloween parties and activities. Aren’t these mummies cute??!?! 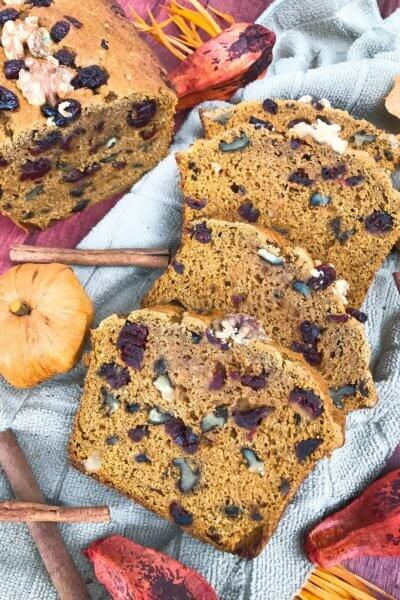 Each one has a little variation for its own personality and are sure to be a favorite with kids. The marshmallows are cut in half so they are not too large. 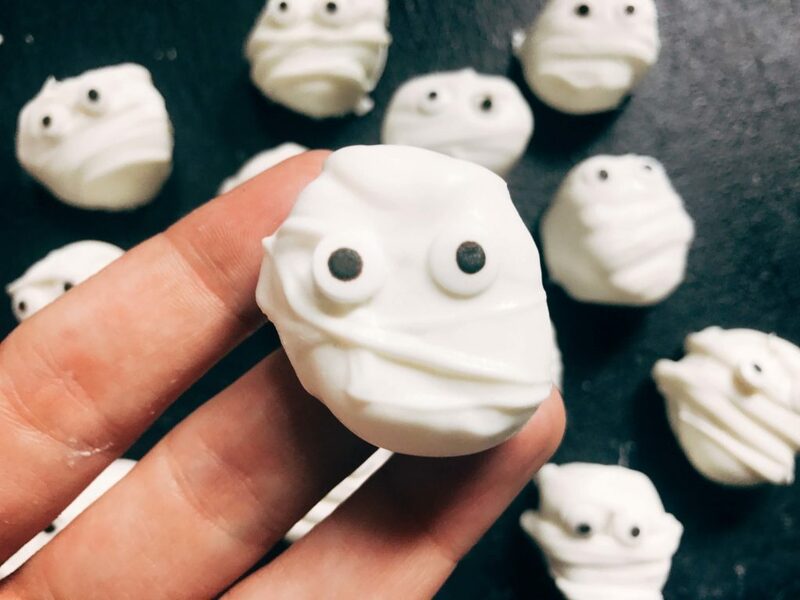 These Halloween Mummy Candy Dipped Marshmallows are incredibly simple and easy to make! 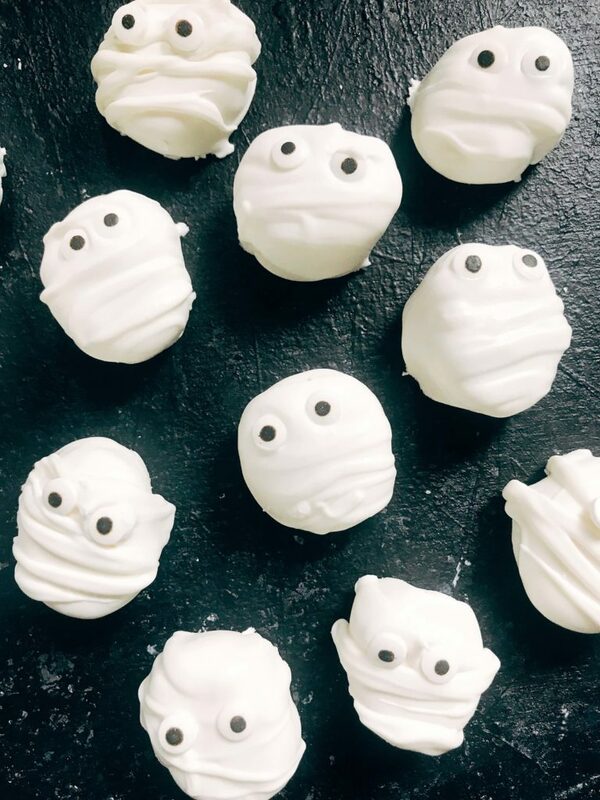 Using candy melts, the marshmallows are cut in half, covered in the candy melt, and additional candy melt is swiped over the marshmallows to create the mummy wraps. 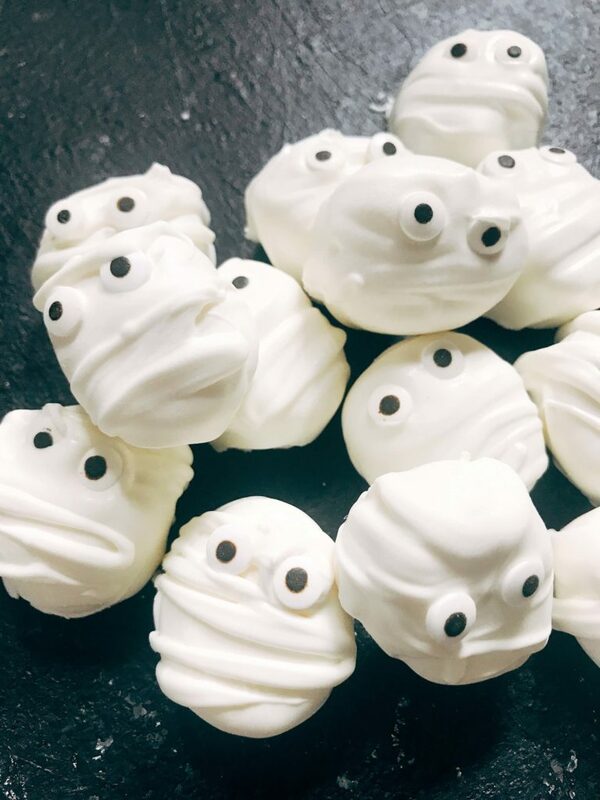 Candy eyes are applied and the Halloween Mummy Candy Dipped Marshmallows are ready to go! 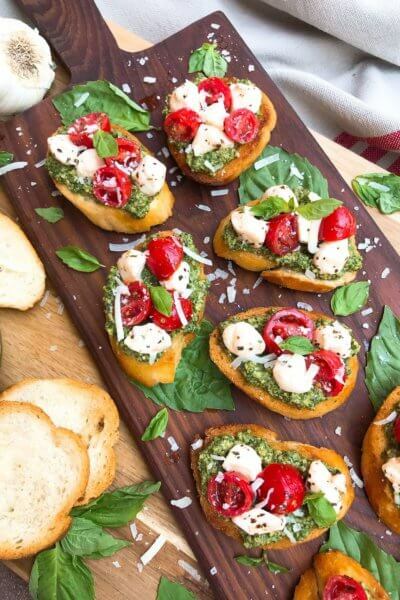 They dry quickly in just 5-10 minutes, so they are a great fast and last minute treat to make for a Halloween party or activity. These candy dipped marshmallows are perfect in cups of hot chocolate as well! I loved these so much, I knew I needed to make more! So now you can find mini holiday collections of candy dipped marshmallows on our site. 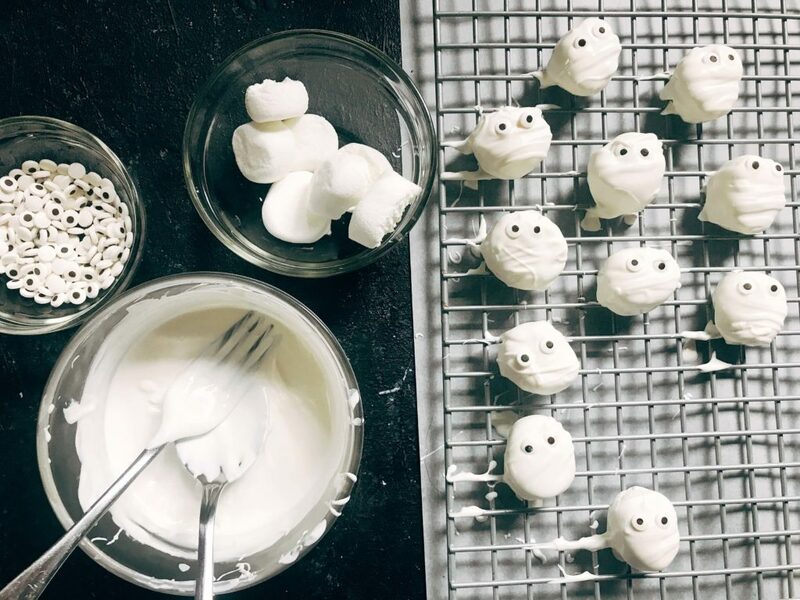 Check out these fun Halloween marshmallows! Find more of our holiday candy dipped marshmallows here! Set up a cooling rack over parchment paper and lightly spray with cooking spray to prevent sticking. Cut each marshmallow in half across the middle to create two circular disks. Set aside. Place the candy melts in a small microwaveable bowl. Heat as per package directions until completely melted. Do this after the marshmallows are prepped as the candy melts will start to harden. 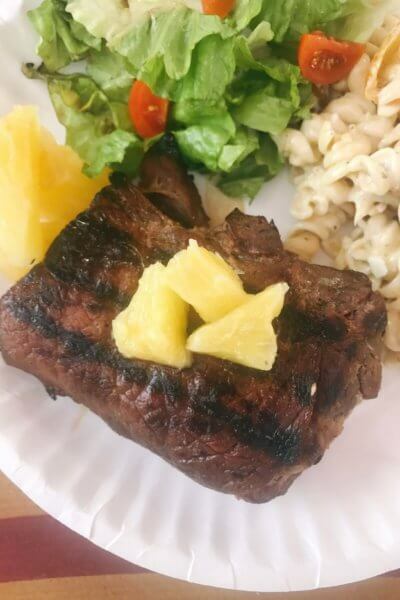 Place a marshmallow half on a fork. Using a spoon, pour some of the candy melts over the marshmallow while holding it over the candy melt bowl. Tap the fork against the edge of the bowl to remove the excess candy melt. Then load the spoon halfway with some additional melted white candy. Quickly swipe the spoon back and forth over the marshmallow in a zigzag pattern, creating the mummy wraps. Do not tap the marshmallow on the bowl at this point as it will diminish the mummy wraps. Empty the spoon of extra candy melt and use the spoon to push the marshmallow off of the fork and onto the cooling rack. Any excess candy will drip off onto the parchment. Alternatively, you can place the marshmallows directly on the parchment paper. 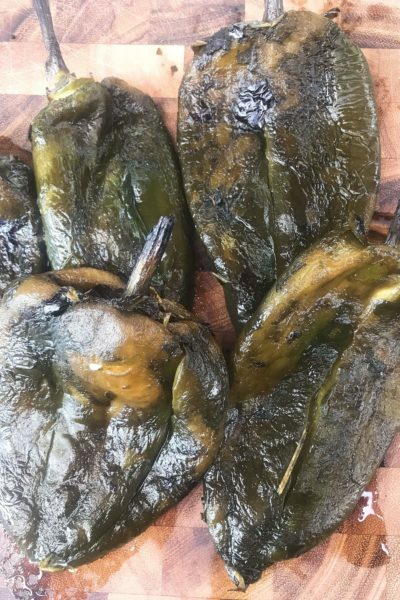 Have done this a few times, I prefer directly on parchment paper because even with nonstick spray they can stick to the cooling rack. Just be sure to tap off a lot of the excess candy before making the wraps so that you do not have a pool around the marshmallows. Soon after, place two of the candy eyes on the mummy. If you wait too long, the candy will have hardened and the eyes will not stick, so do not wait until the end to complete this step. (I found applying eyes every four marshmallows worked well). Let the marshmallows sit until the candy has hardened, approximately 5-10 minutes. I use bright white candy melts as regular white can look a little yellow or beige. You can find them at your local craft and baking stores.